Congratulations to Killian Lyon '18 on receiving the inaugural Benson Leadership Award. 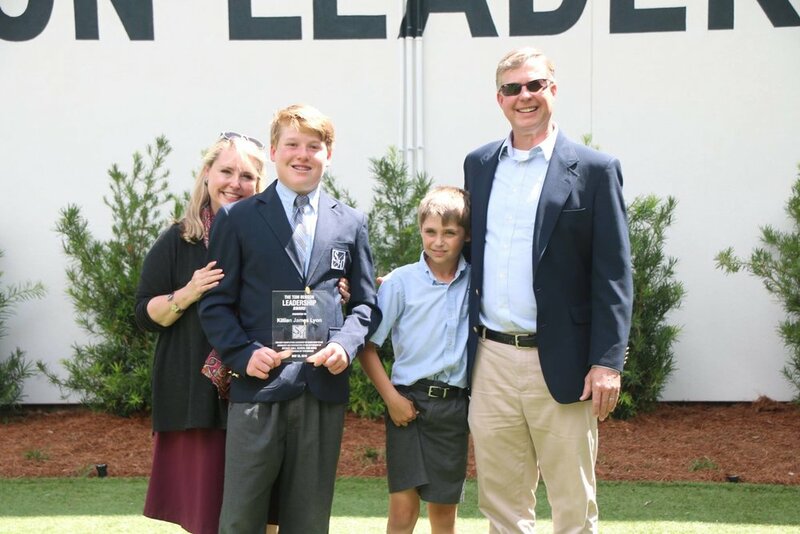 The Benson Leadership Award recognizes an outstanding Seventh Grade student, who has lived out the mission of Stuart Hall School and demonstrated excellent achievement in student leadership. This honor is bestowed upon a deserving student who best exemplifies leadership, as defined as someone who has given back to his community/contributed to the betterment of his school community and/or city in the likeness of Tom Benson.